Raj is an entrepreneur, scientist, and inventor who currently leads the fast-growing start-up Styku. Raj has a BS in Space Sciences, and an MS in Physics. Raj’s journey has included stints at NASA, The Astrobiology Institute of Biomarkers, California and Carnegie Planet Search lab, and other notable research institutes. 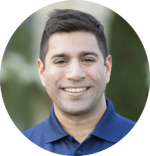 Having come from a family of entrepreneurs, Raj fosters a deep desire to build innovative technology that can help further understanding of the world. In 2010, Raj pioneered a new class of 3D imaging systems using depth cameras for lifestyle businesses. Today, he finds himself fortunate in building markets for body scanning systems for lifestyle purposes, such as fitness, wellness, and health assessment. Raj has been a guest lecturer on several occasions for a technology course at Harvard Business School and is a graduate of the prestigious Techstars Accelerator. 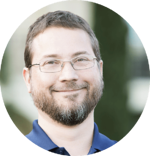 Jason is an expert in 3D visualization and measurement of the human body. Jason spent much of his early career creating 2D/3D motion graphics for television shows including CSI and Alias. Prior to joining Styku he was VP of Engineering for Tukatech, an apparel-focused software company, where Jason developed innovative 3D scan-based mannequins for better clothes - fitting, and led a team of software developers and content creators to create sophisticated 3D apparel simulation and visualization software, and assets for clothing designers and manufacturers. Jason and Raj have been working together at Tukatech and now Styku for more than 10 years. Chintan Bakshi serves as Chief Technical Officer for Styku. He is responsible for building the HW and SW platforms for Styku. 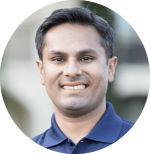 Chintan joined Styku from Microsoft where he played an integral role in Product Management and Engineering leadership building revolutionary and iconic Surface Product Line. Earlier still, he held Technical leadership roles at Hewlett Packard where he built iPAQ handheld products. As a 15+ year veteran in the building Hardware and Software Industry, Chintan is a dynamic leader who possesses strong executive management skills combined with deep technical experience needed to fuel growth and meet increasing demand from Styku’s customers. Chintan and Raj have been close friends for 17 years. Chintan invested in Styku in 2014 and then later joined the team full-time in 2017 in order to scale the company’s technology platform. Josh joined the company in May of 2016. Josh holds two Masters from The University of Pennsylvania in International Affairs and Business Administration. 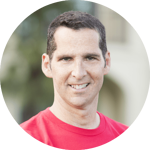 Josh has run global sales for the last twenty years in the fitness, wellness and health space and sold into 80 countries around the world. After building the global distribution over his career at CYBEX, FreeMotion Fitness and Power Plate, he joined the team at Styku because of our shared mission of changing lives. Alicia has 11 years of experience in the Customer Service / Sales industry. After graduating from the University of Texas in Austin with a major in Corporate Communications and a minor in Business, she spent 8 years in Hospitality working for Hyatt Hotels and 3 in the Fitness industry, all with Styku. 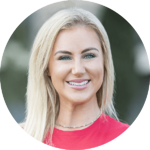 She brings a wealth of knowledge in building relationships and has quickly become a leader at Styku managing high profile Key Accounts. Alicia is an avid Houston and Longhorn sports fan! When she is not working, she loves traveling and spending time with her family in Texas.